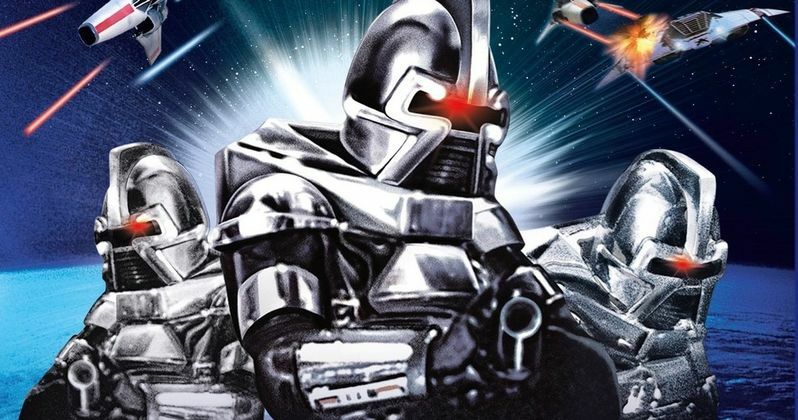 After languishing in development since 2009, Universal Pictures' Battlestar Galactica movie is finally moving forward in the right direction. We reported last month that the studio has brought on Michael De Luca, Scott Stuber and Dylan Clark to produce this sci-fi reboot, but now even more progress is being made. Today we have word that HBO's Westworld co-creator Lisa Joy has signed on to write the screenplay, with Francis Lawrence (The Hunger Games: Mockingjay) circling the project as a director. This new report from Deadline doesn't reveal if Francis Lawrence is in negotiations, or if he's just interested in taking on this coveted directorial gig. Much like the original 1978 TV series, and the critically-acclaimed 2003 TV reboot, this project will follow the longstanding battle between humans and the Cylons, although no specific plot details were given. We reported back in 2014 that this project will be a full reboot that is more cloesly related to the original 1978 TV version. Universal first started developing this Battlestar Galactica movie back in 2009, shortly after the Syfy TV series completed its run. Bryan Singer was attached to direct at one point before dropping out. In 2011, John Orloff (Anonymous) signed on to write the script, which was said, at the time, to be based on the original 1978 Battlestar Galactica TV series, and not the 2003 Battlestar Galactica remake series, but it isn't known if that is still the plan, with a new writer coming aboard. Before the producers came aboard in February, the last we heard on this project was in 2014, when Transcendence writer Jack Paglen was brought on to work on the script. The 1978 version of Battlestar Galactica ran for just one season, starring Richard Hatch, Dirk Benedict and Lorne Greene, centering on humans from the Twelve Colonies engaged in a war with the Cylon robots. The 2003 series starred Edward James Olmos, Mary McDonnell, Tricia Helfer and Katee Sackhoff, airing over four seasons on the Syfy Channel. The remake also spawned the prequel series Caprica and the web series Battlestar Galactica: Blood and Chrome. Francis Lawrence most recently directed the Hunger Games franchise finale Mockingjay Part 2, which hit theaters in November. He is next set to reunite with star Jennifer Lawrence with the spy thriller Red Sparrow, with Battlestar Galactica set to come after his work on that project. Lisa Joy started her writing career on ABC's Pushing Daisies, before serving as a writer and producer on USA's Burn Notice. She co-created the upcoming Westworld with her husband, Jonathan Nolan, which is set to debut this fall on HBO.